Reuters – Oct. 23 2013 – The start of the 2014 tax filing season will be postponed by a week or two next year, the U.S. Internal Revenue Service (IRS) said on Tuesday, likely delaying some tax refunds, as well. Complications from the 16-day federal government shutdown are the cause, the IRS said, with the 2014 tax season now slated to start between Jan. 28 and Feb. 4, rather than on Jan. 21. The end of the filing season, when tax forms are due into the IRS, will remain April 15. The IRS made no change to the turnaround time for distributing tax refunds, which taxpayers receive within 21 days after tax forms are filed. The government shutdown came during a critical period for preparing computer filing systems for 2014, the IRS said. “Readying our systems to handle the tax season is an intricate, detailed process, and we must take the time to get it right,” said acting IRS commissioner Danny Werfel. 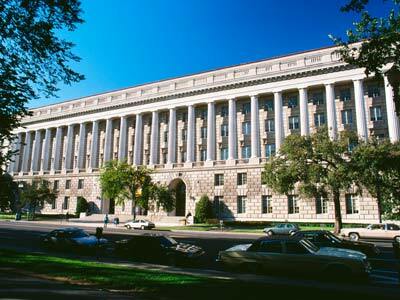 The IRS said it will announce in December a final decision on the exact date for the start of the 2014 filing season. A shorter tax season means tax preparation businesses such as H&R Block and Jackson Hewitt Tax Service will have less time to do their work. These large tax-preparation companies tend to cater to lower-income individuals, many of whom like to file early to get a tax refund as soon as possible. “The tax preparers have a game plan for how to deal with” the delay, said Gil Luria, an analyst with investment firm Wedbush Securities. He said a two-week delay will not significantly hurt the companies’ earnings. An estimated 18 million taxpayers typically file a tax return in January, H&R Block spokesman Gene King said. “These taxpayers will be waiting even longer for their refunds,” King said in a statement.